They don't call us Charlie's Pizza for nothing! Our Utica style pizza and tomato pie is second to none. It's all about the recipe...the fresh ingredients we use and the homemade NY style hand tossed dough. 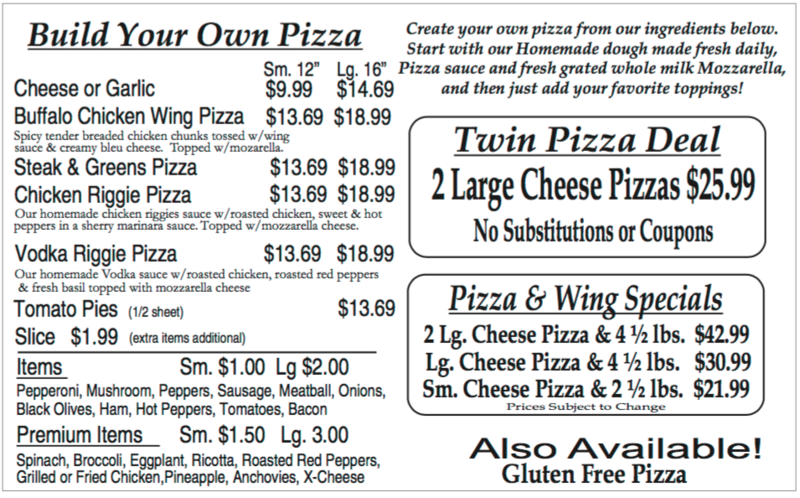 Check out our many varieties of pizza and our daily specials.